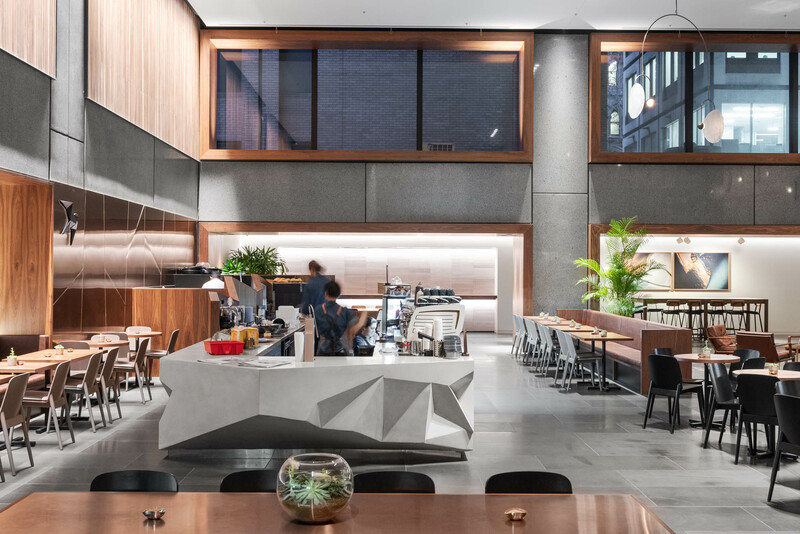 367 Collins Street, at the heart of Melbourne’s business district, takes advantage of two prime CBD locations – Collins Street and Flinders Lane – acting as the key thoroughfare and pedestrian link between the two. 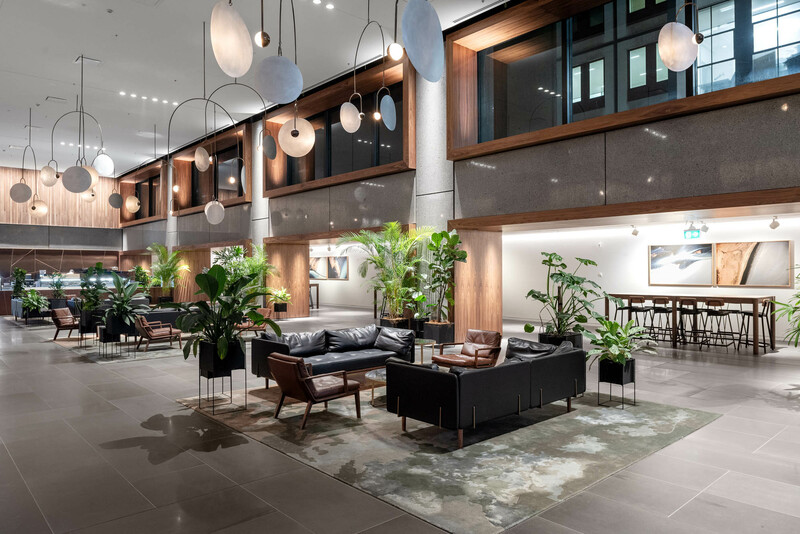 Completed under our Design and Construct (D&C) model, the base building and construction of the foyer allowed our VIC construction team to present an impressive entry space, while building the two street frontages allowed us to contribute to the positive development of our city. 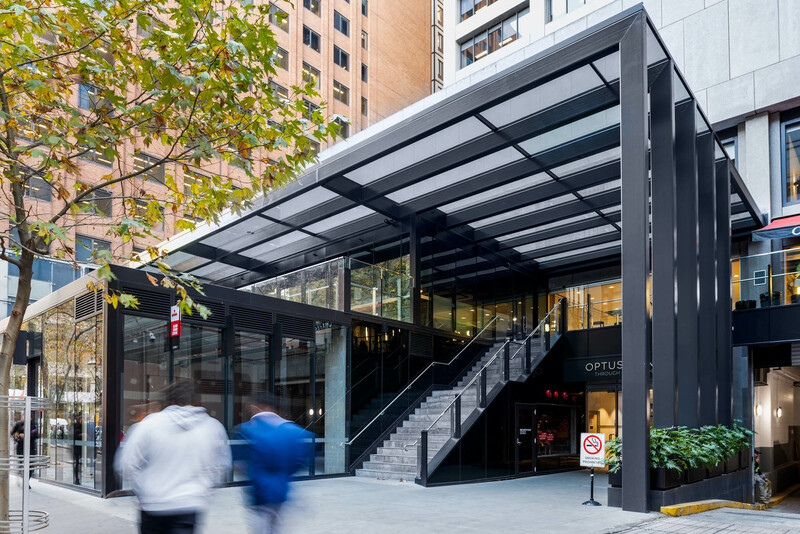 Designed by Woods Bagot and installed by Schiavello subsidiary Heritage Glass, the immersive experience begins at the Collins Street frontage with the newly built glazed canopy and glass protrusion. Recladding the Flinders Lane external stairs with glass opens up the multiple entryways while breaking down the scale of elevation. The Flinders Lane glass balustrades carry the transparent aesthetics introduced by the Collins Street protrusion and canopy. The additions also draw attention to the way the façade now steps forth to greet visitors within the public realm. Upon entry through the 4.3 meter tall custom built revolving door, guests are welcomed into a rich but intimately sealed space characterised by warm earthy tones, generous use of timber and greenery. 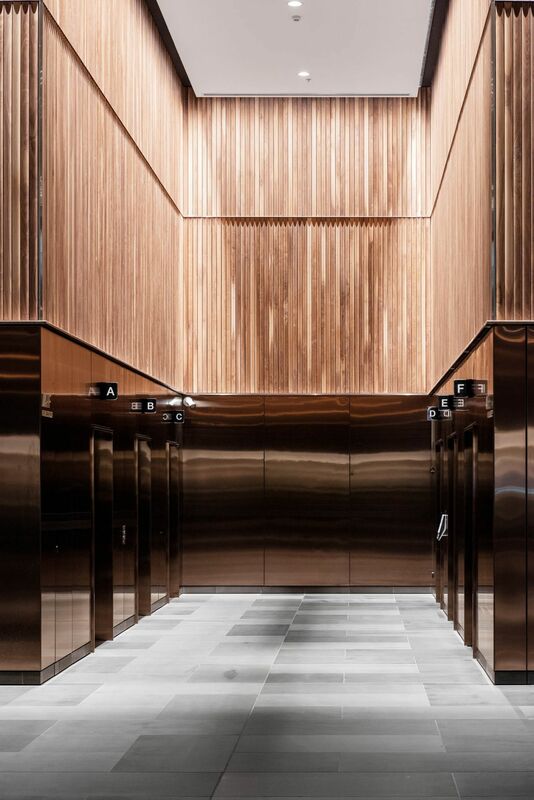 The foyer carries a monolithic aesthetic accented by timber and Rimex paneling. 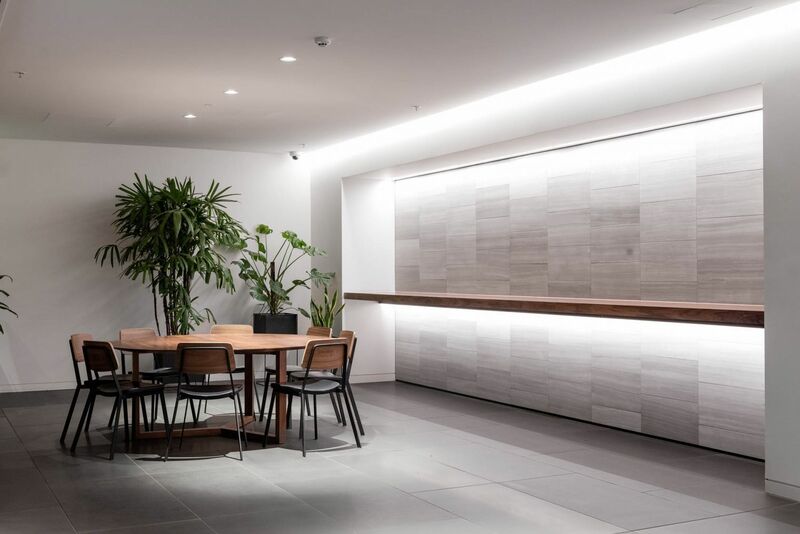 The wall panels cultivate a sense of verticality to the already grand foyer – an acknowledgement of its place within Melbourne’s business district. Designed and manufactured by a local artist, the bespoke pendant lights hang over the relaxed seating areas creating not only a feature piece but also visually lowering the impressive height of the ceiling. Schiavello subsidiary Prima Architectural Joinery produced all lobby wall paneling. 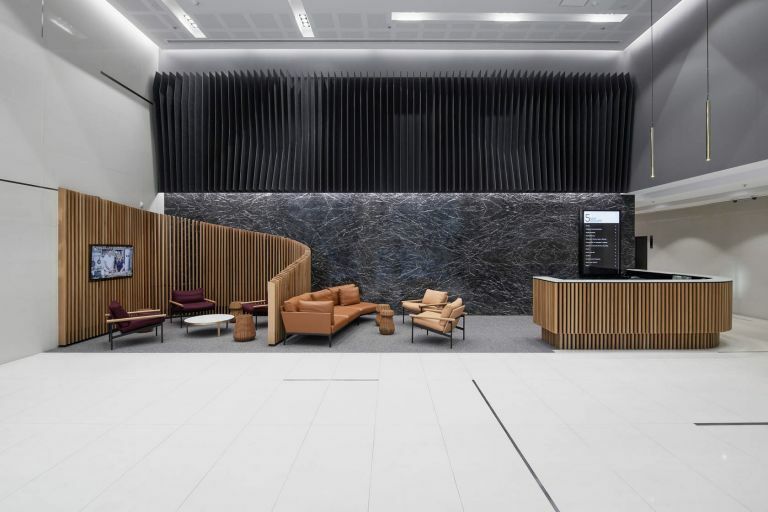 Utilising our in-house joiner afforded the client detailed control over the production process and installation methods, including the decision to clad over the existing lobby wall finishes. A significant challenge of the project was its central CBD location interfacing the public. Our team placed utmost importance on working within a live environment. The removal of hazardous materials was carefully managed, general disruptions were kept to a minimum, and all noise and dust was contained with hoarding. Maintaining safe access for the public and the building’s existing 3,500 tenants was a priority throughout the programme. The team also addressed latent conditions associated with the structural connections for the new concrete slabs and among the structural steel supporting the roof and façade. 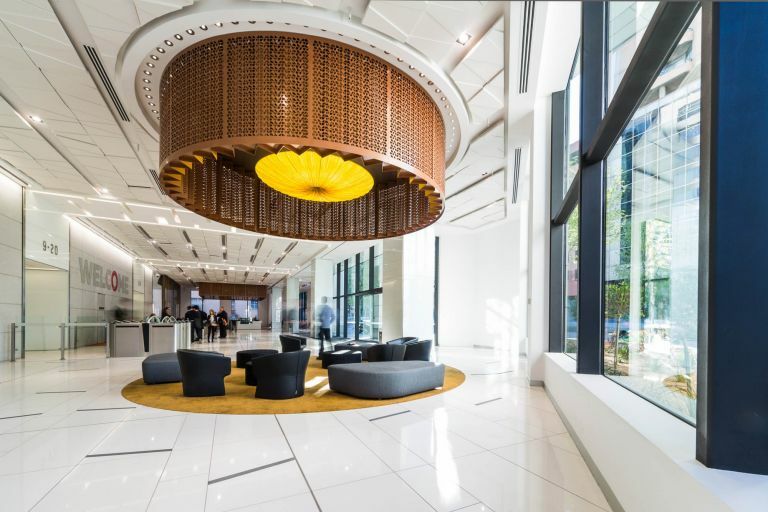 The 20 level office tower at 321 Exhibition St has undergone significant refurbishment that achieved 5.5 Star NABERS and Green Star Certification.